How does HBO afford its shows? 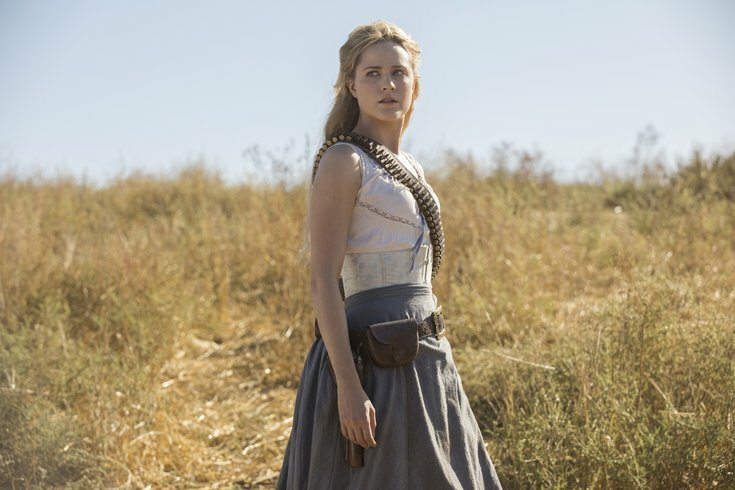 Season 2 of "Westworld" debuted on April 22, 2018. With the season two premiere of "Westworld," with all its flashy sci-fi content and special effects, comes the reminder that the show is, well, really expensive. As in, $100 million type of expensive--or, at least, for season one. Nor is it the only costly show in the network's repertoire: The final season of "Game of Thrones" is expected to cost as much as $15 million per episode. So how, one might wonder, does an ad-free network like HBO accumulate the moola to pay for it all? Curious, we reached out to Ram Mudambi, a professor of strategy at Temple University's Fox School of Business, for an explanation. How does HBO have cash stores to invest in hundred-million-dollar seasons of "Westworld" and "Game of Thrones?" It's hard to find direct evidence because HBO is buried inside Time Warner, so it’s hard to break out exactly how much they're making, but it does seem like they are quite profitable. I think they have some fundamental advantages. They basically generate a lot of what economists call "base revenues." Because they piggyback on cable providers and they're the incumbent player, whereas their major competitor, Netflix, is an entrant. Netflix does very well; they’ve definitely caught up with HBO in terms of the number of subscribers. But it’s very difficult for them to—they have to constantly keep "winning," if you will. Whereas, HBO is the incumbent, and the three big advantages they have is incumbency, access and churn. Netflix has to come in and attack them. HBO has their subscribers. "Access," is they come right into your house because cable comes into your house. Switching HBO on is quite easy and a lot of consumers don’t switch it off. Therefore, their churn rates are low; people get HBO and stay on it. Netflix has very high churn. They have to get into your house and you have to choose to subscribe, whereas HBO, you can just switch it on. And they’re essentially counterattacking with content. They’re investing a lot of money in movies, high-quality directors, they’re premiering movies at Cannes and so on, and they also have a total-series release—releasing all at once to get people to binge-watch. That’s fair. They do have a built-in audience. I guess the thing I wonder is, how does that $10 or so per month a person might add to their cable bill actually translate to any real revenue? The last time Time Warner reported HBO results, separately--they're posting pretty record numbers. In 2017, HBO reported operating income of over half a billion dollars. And that’s been rising. It seems like, basically, the $10 per month translates to a lot of money. • Like in film, HBO likely depends on a handful of hits to fund much of its other projects. • HBO holds an advantage of main competitor Netflix by way of being the "incumbent." • HBO is thought to be a high-performer--"crown jewel"--for owner Time Warner. • Though HBO has several shows that produce merchandise, merchandising is not a big share of its earnings. • The network continues to set records with its posted revenue. Is that good growth for them, put in context? The difference, too, with Netflix, is there’s a comparison to be drawn. HBO has been around so long. Exactly. That’s, to an extent, their challenge. At this point, to report growth, they’re doing it on a large, subscriber base. Today, in 2018, Netflix and HBO both have very large subscriber bases. The growth rate they’re both showing seems to indicate the overall pie still has room for growth, because they're both growing. Netflix just reported a record fourth quarter in 2017 [of $11 billion in revenue]. I haven’t seen 2018 results but it’s pretty impressive. I haven’t looked at HBO for some time, but they, in 2017, also reported record profits. Do we spend more money when the weather's bad? Why is the dime smaller than other coins? You touched on Time Warner ownership. I imagine that’s at least a factor here? HBO has been, in recent years, a crown jewel for Time Warner. HBO is actually throwing off cash in Time Warner to use in other things, rather than the other way around. Does HBO make money off of – with "Game of Thrones" or "True Blood" – merchandise like T-shirts and comics, etc.? Merchandising revenue of HBO is not a big percentage. They do merchandise, of course, but I think the–merchandising tends to be very big among shows that are, for example, toys aimed at kids. But HBO has made a conscious decision to segment and go after the adult segment, the after 8 p.m. segment. A lot of what they show is for mature audiences....I don’t know many parents who’d let their kids watch "Game of Thrones." And to be honest, I don’t know how that’s all divvied up, from George R. R. Martin and HBO. He must have had a pretty big share of stuff like that, based on his idea. When they report figures for how much an episode costs, does that take into account what actors are paid? Yeah. I think when we look at the financial performance of HBO as reported in financial statements, that takes all that into account. If you’re asking how much profit does "Game of Thrones" actually make, you’ll get a lot of different answers from different people. There are lots of ways in which you calculate that. What HBO and Netflix are doing now, they’re very much—they depend, like Hollywood, on a relatively small number of hits to finance their entire operation. Looking ahead, is what HBO is doing sustainable from a business practice standpoint? They, certainly, with HBO GO and HBO Now, know they need to look to the future as people cut the cable cord. What’s the balance? They’re obviously smart people. They realize the future is not cable. And they need to wean themselves from that. But to some extent, here is where Netflix has a huge advantage: The incumbent has an advantage, but also a disadvantage, and I think the advantage of Netflix is they have nothing to lose. They didn’t have a subscriber base. They built it from nothing, and they do have to deal with churn, so they have to constantly come up with good content. HBO, to some extent, breeds complacency. Because they have tens of millions of subscribers cooked in, and they always have time, but sometimes that can be dangerous. Technology moves quickly and HBO GO is not anywhere near the capability or popularity of Netflix. And they haven’t really developed that nimbleness of capability that Netflix has. It will be a challenge, I think, going forward.